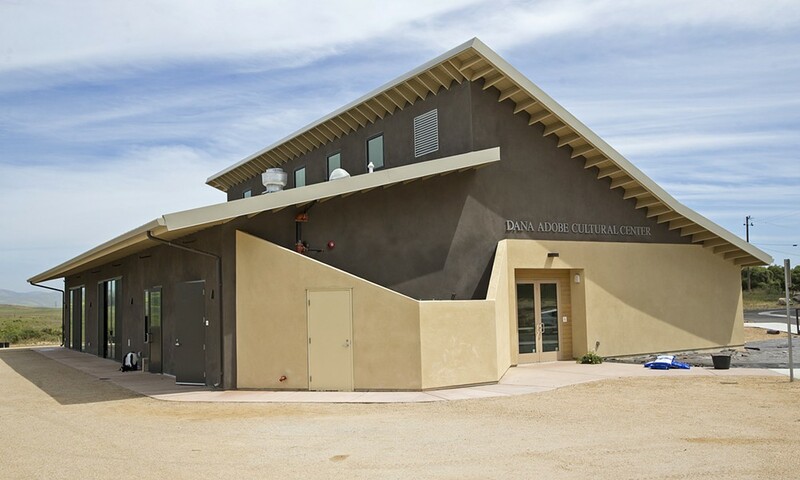 The DANA Adobe Cultural Center's grand opening will be held May 20 from 10 a.m. to noon and will feature an exhibit about the history of the Central Coast, a contemporary photo exhibit on how Native American cultures celebrate their heritage, and information about the animals that live in the area. A tree planting event and Nature Fest will take place from noon to 4 p.m. following the grand opening. Both events are free to the public. For more information, visit danaadobe.org. Marina Washburn, director for the Dana Adobe Nipomo Amigos (DANA), lived in Nipomo until she left for college at the University of California Santa Cruz. "It was time, and I was ready to get out of this little town," Washburn said. COMMUNITY RESOURCE The Dana Adobe Nipomo Amigos has been working hard for seven years to bring the community a resource center for learning and public use. As DANA prepared for the grand opening of its new Cultural Center on May 20, Washburn reflected on how Nipomo was always her home. It's where her roots are, where her family raised her. "At the same time I grew up in a time where identity was so important. And there was this search for belonging that I really struggled with as a first generation American," she said. So her search continued as she left for college, began her career in the nonprofit sector, got married, and became pregnant. At that point, Washburn was ready to move back to her hometown to settle down and raise her own family. About 10 years ago, when she was three months pregnant, she said, she was offered the executive director position for DANA in her hometown. The public benefit nonprofit was established in 1999 with a focus to save the ruined historic Dana Adobe rancho and gain state and national recognition for the landmark. She remembers the first time she stepped foot on the Dana Adobe property. "When I came in for the second interview for the job, it was the first time I had ever been here on this property, and I just felt like I had finally found my place of belonging," she said as she waved her hand in the direction of the rancho. Just a month later, Washburn was made an offer and she took the position. She and the president of the organization at that time walked over to the sycamore tree that stands to the left of the rancho to talk about the organization's vision for the historic home. "The house was in ruins; it was going through restoration, but it needed so much work," she said. The organization was working with San Luis Obispo County at the time to purchase the land surrounding the actual home. The nonprofit only owned the house itself. NEW SPACE Soon to be a community resource hub, the DANA Adobe Cultural Center will have a space for exhibits, community events, and classes. "He's telling me the vision of fully restoring the house and building a visitor's center. I remember taking a really deep breath and thinking maybe when my baby is 10 years old this will all be done," Washburn said. Her firstborn son will be 10 years old in June, and within those 10 years, Washburn has contributed to the completed restoration of the Dana Adobe rancho, the creation of a 1-mile interpretive trail surrounding the home, and the newly built DANA Adobe Cultural Center. The organization spent five years working on the right documentation to get the project going and two years on construction. Washburn said that seven years felt like a long time, but completing this project makes the organization that's been around for about 20 years feel like it's starting a new chapter in its nonprofit life. The center lies to the right of the Dana Adobe, if you're standing in front of the rancho, and there is a trail you can follow to its entrance. You can also drive to the parking area in front of the new facility. A vast green landscape of land and hills surrounds it. Sliding glass doors are basically the building's walls. Standing in the building almost makes it feel like a painting, its contents framed by the nature that surrounds the center. The cultural center is about 4,500 square feet meant for the community's use, with the capacity to be a gallery, classroom, and an event space, as the building is equipped with a commercial kitchen. "We want to focus on engaging the community with models of stewardship for natural and cultural resources," Washburn said. DANA already has several programs and activities for children who visit the adobe with their school or during summer programming. Several stations within the property give children a sense of what life was like about 150 years ago. They have a chance to make tortillas and bricks in addition to learning about the Dana family and the nature surrounding the rancho. With the new cultural center, the organization is creating more nature programs, which will highlight native animals, ecosystems, and plants on the property. 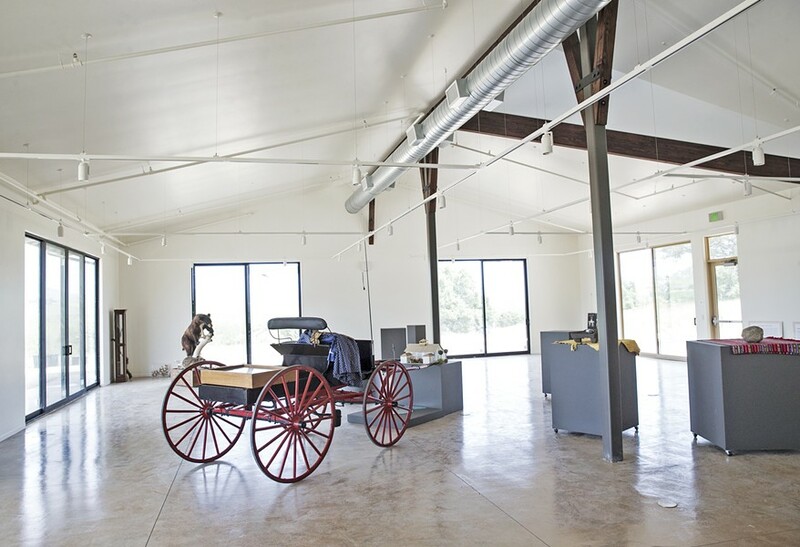 Washburn said having the center finished and the historic home restored is a huge success for the organization, although there are still more projects to be completed, like additional trails and gardens. Part of the vision was to make a trip here more than a visit to the Dana Adobe. "We knew that it needed to be more than a historic house. Just a historic house is like saying, 'Oh yeah I went there as a kid and never came back,'" she said. Karen Garcia is stopping to smell the flowers on a hike at kgarcia@newtimesslo.com.